Book Adventures: YA Wednesday: The Kilenya Series by Andrea Pearson + Interview! 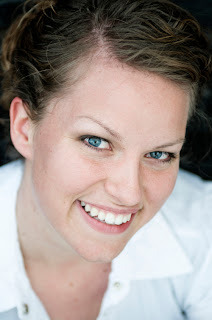 YA Wednesday: The Kilenya Series by Andrea Pearson + Interview! 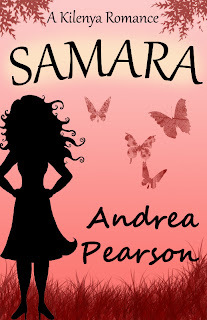 Today's post features LDS, YA author Andrea Pearson and her awesome Kilenya series. 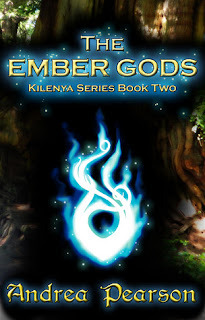 Right now there are three books in the series available, The Key of Kilenya (Book 1), The Ember Gods (Book 2), and a companion story, Samara: A Kilenya Romance. All books are available in eBook format, with the first two also available in paperback. The inhabitants of the new world desperately need Jacob's help in recovering a magical key that was stolen by the Lorkon and is somehow linked to him. If he helps them, his life will be at risk. But if he chooses not to help them, both our world and theirs will be in danger. The Lorkon will stop at nothing to unleash the power of the key—and Jacob's special abilities. If you're local and you'd like to meet Andrea and/or get a book signed, stop by Pioneer Book in Orem THIS SATURDAY FROM 1 - 3 PM! Andrea will be there along with authors Jenni James (YA, see post here) and Tristi Pinkston (mystery). And thanks goes to Tristi Pinkston for connecting Andrea and me for this interview! Me: The Key of Kilenya is a young adult fantasy book. Is young adult fantasy your preferred genre to write or have you written in other genres? Me: How many books will be in the Kilenya Series? 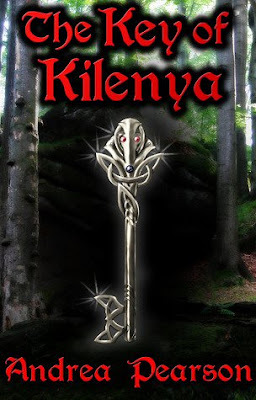 Me: The Key of Kilenya was published as an ebook initially and sold very well. At what point was it decided to make a hardcopy of the book? Me: What was/is the publishing process like? Me: You are the third oldest of seven children. Did this have any impact on your desire to create/write stories? Me: What were your favorite books growing up? Andrea: Oh, man. Hard question! I was a huge fan of The Adventures of Tin Tin, the Nancy Drew books (the older ones, not so much the newer ones), Hardy Boys, Madeleine L'Engle’s books (though I never could say her name right :-)), The Phantom Tollbooth, nearly anything I could get my hands on, basically. Me: Are there any books that have impacted your writing? Andrea: I know he's not in my writing "genre," but Michael Crichton’s books are the first to come to mind. He's been one of my favorite authors for a long time. He really knew how to grip his readers. And I love logical, scientific type books—he excels at that. I want my books to have that sort of concise, clear, and logical writing. Next, Harry Potter and Fablehaven—I love the tone set in these books. Me: Could you tell us some instances of inspiration for different aspects in The Key of Kilenya (a.k.a. What were some ways you got ideas)? Andrea: I’d always been fascinated with skeleton keys. And ordinary people who find out they have magical abilities. At one point, when I finally became serious about writing the Kilenya Series, I couldn’t read anything without my own ideas assaulting me. It was really awesome. Me: Do you have a schedule for writing? How do you balance being an author with the other aspects of your life? Me: What would your dream vacation consist of? Andrea: Anything my husband cooks (he’s an excellent chef), or Italian. Me: Would you say your religious beliefs impact your writing? If so, in what ways? Andrea: Yup, I would. :-) My main characters are honest and have good values. They aren’t members of my church, or I don’t think they are—I’d have to ask them, actually :-)—but I still wanted them to uphold certain standards. My goal is to write books that are fun, exciting, and clean that will bring hours of reading enjoyment to adults and young readers alike. And I especially don’t want a child of mine to read something I’d written and get embarrassed at the language or context. Please visit Andrea's website to learn more about her and her great BOOKS! And here is Andrea's Amazon page if you'd like to order a print copy (the pictures above have links to the Amazon kindle versions). The eBooks are also available for Nook or on Smashwords. I can't wait to come! I loved this interview! And I will go get the book right now! It's so amazing for me to see how LDS authors are finding their way in the publishing world! We should get together on a discussion board and talk about all the different options and how we chose them. I agree. It just makes me feel so excited when I discover an author who is LDS. In general, but especially in the youth genres.